Nutrition describes the processes by which all of the food a person eats are taken in and the nutrients that the body needs are absorbed. Good nutrition for adolescents can help prevent disease and promote proper health, growth, and development. Adequate intakes of vitamins and minerals are an important part of nutrition. 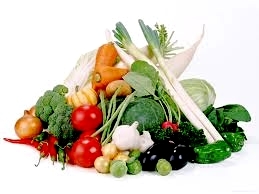 Vitamins are organic substances present in food. They are required by the body in small amounts to regulate metabolism and to maintain normal growth and functioning. Minerals are vital because they are the building blocks that make up the muscles, tissues, and bones. They also are important to many life-supporting systems, such as hormones, transport of oxygen, and enzyme systems. There are many nutrients the body absorbs from food and each of the food groups supplies at least one nutrient. For example, oat bran, which is a whole grain, can supply fiber and a mineral called magnesium. A good nutrition plan will ensure that a balance of food groups, and adequate amounts of the nutrients supplied by each group, is eaten. of osteoporosis as an older adult. Finally, adolescent nutrition is important because some teens have health problems that require special diets. Type 1 diabetes, also called juvenile diabetes, is diagnosed in as many as 13,000 children a year, often during their teens. It requires, controlling both diet and lifestyle factors which can be particularly difficult for busy teenagers. Surprisingly, increases in obesity mean that Type 2 diabetes, which in the past has only been diagnosed in adults, now is diagnosed with increasing frequency in adolescents as well. * Grains. The guidelines recommend eating at least three ounces of whole grain bread, cereal, crackers, rice, or pasta every day and adolescents should be encouraged to eat whole grains often. At least onehalf of all grains should be whole grains, which can be determined by looking for the word ‘‘whole’’ before the grain name on the list of ingredients. * Vegetables. The pyramid recommends eating more dark green and orange vegetables, as well as more dry beans and peas. * Fruits. A variety of fresh, frozen, or canned fruit is good, but the USDA recommends limiting consumption of fruit juices. * Milk, yogurt, and cheeses. The USDA recommends getting plenty of calcium-rich food from low-fat or fat-free milk. Adolescents should consume three c. per day of fat-free or low-fat milk or equivalent milk products. Teens who can’t drink milk should be given lactose-free products or other sources of calcium, such as hard cheeses and yogurt. * Meat and beans. Lean protein should come from low-fat or lean meats and poultry that is prepared by grilling, baking, or broiling. Varying choices is recommended, so that more fish, beans, peas, nuts, and seeds that provide protein are part of the diet. * Oils and fats. Most fat sources should come from fish, nuts, and vegetable oils. Solid fats such as butter, stick margarine, shortening, and lard should be limited. Adolescents should receive no more than 25% to 35% of calories from fats. The new guidelines and pyramid focus on the basics of calorie management. It’s all about balancing energy, or the amount of calories eaten vs. the amount of calories used by the body. By managing portions, eating a balanced diet from the food groups, and not taking in too many calories on high-sugar or high-fat foods, adolescents can maintain a reasonable intake of calories. Regular physical activity can help to balance energy. Research has shown that subtracting just 100 calories a day from the diet can help manage weight. The typical soda contains 150 calories. Adults need to help teens understand that balanced eating and calorie management help manage weight, not unhealthy stretches of fasting or reliance on fad diets. Physical activity also helps manage weight. Encouraging more participation in sports or just spending time outside with family and friends vs. ‘‘screen time’’ in front of the television, computer, and video games, also can help manage weight safely. Dieting is an important predictor of eating disorders among adolescents. Girls who practiced rigid dieting are about 18 times more likely to have eating disorders such as anorexia nervosa, bulimia nervosa, or eating disorder not otherwise specified. Teen girls who have dieted moderately are five times more likely to be diagnosed with an eating disorder. If an eating disorder is diagnosed, the adolescent will receive therapy with behavioral and nutritional approaches. Nutritional therapy for teens with eating disorders will first correct possible malnutrition caused by the eating disorder. Refeeding must be carefully planned to avoid complications brought on by sudden increased calories and weight gain. Themeal plan will be based on the Dietary Guidelines with gradual increases in calories as the teen’s lean body mass increases. Some adolescents with diabetes have been known to use doses of insulin below those recommended by their physicians to promote weight loss. Teens with Type 1 diabetes will have nutritional counseling upon diagnosis and regular checks with a registered dietician. They will have to count carbohydrates and carefully plan diet around exercise to avoid weight gain. Teens with Type 2 diabetes also will be taught how to control blood glucose levels. The Dietary Guidelines recommend adopting a balanced eating pattern. Using the USDA’s new pyramid can help customize a plan for teens that provides adequate nutrients for needed energy, growth, and development. Teenagers often report eating high levels of junk food, sweet sodas, especially when away from home. More than one-half of adolescents do not meet the Dietary Guidelines for fruit and vegetable consumption and nearly two-thirds consume more than the recommended amount of fat. Reports also show that at least two-thirds of adolescent boys and girls have tried to lose weight using unsuccessful methods. While many efforts have been made on national and local scales to improve the nutritional selections of school lunches and vending machines, the Dietary Guidelines offer a healthy way to provide a balanced diet at home and in lunch choices brought from home. Many adolescents ignore the role that fluids play in nutrition. It is important to moderate drinking of high-sugar beverages and fruit juices especially between meals. Caffeine from sodas and coffee drinks can interfere with sleep if consumed late at night, which already is a health and school performance issue for many teens. The Dietary Guidelines also say that adolescents should not drink alcoholic beverages. Adolescents need to drink an adequate amount of water, though they do not need to overhydrate. Adolescents who are physically active and play sports will have different nutrition needs than typical teenagers of the same age. For example, they will require more fluids while exercising. In general, those who are very active also require more carbohydrates in their diets than typical teens. Carbohydrates provide energy, but they should come from whole grains and fruits, not from refined sugars. A minority of adolescents are vegetarians, though popularity of various vegetarian diets has increased among adolescents in recent years. For the most part, teenagers can meet most nutritional requirements and achieve adequate growth with a well-planned vegetarian diet. 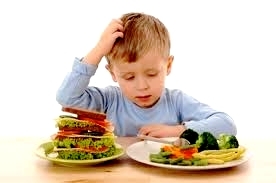 But the trend toward vegetarianism has contributedtonutrient deficiencies inAmerican adolescents because of restrictive eating in the formative years. Teens have been reported to suffer stunted growth, fragile bones, and stress fractures fromlack of nutrients on vegetarian diets. The Dietary Guidelines are designed so that vegetarians can achieve recommended nutrient intakes through careful selection of certain foods. However, research has shown that teenage girls often have low levels of nutrients such as zinc, iron, and calcium, which can be more difficult to obtain from a vegetarian diet. Only one in four teenage girls eat the recommended quantity of meat on a daily basis. Vegan and macrobiotic diets may require supplementation of for teens. Americans are eating out more than ever and are buying foods in the grocery store that are prepackaged. Reading labels is encouraged. In general, fresh foods are healthier than those that are packaged. Highly processed foods do not contain significant amounts of essential minerals. They often contain high amounts of fats and sugar, as well as artificial preservatives and other additives. In recent years, a major emphasis has been placed on improving the nutritional value of lunch choices in schools. At one point, about 75% of junior high and high school students had access to vending machines, school stores, canteens, or snack bars. Nutrition experts have worked with educators to present adolescents with healthier choices at school, to decrease or change the messages of food advertising, and to better educate students in the classroom about good nutritional choices.